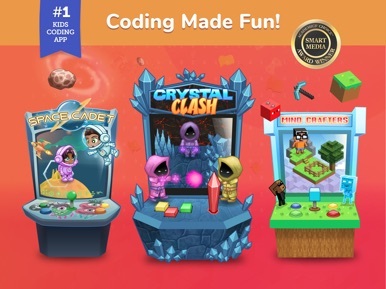 Tynker is the #1 Kids Coding platform! Over 60 million kids and thousands of schools use Tynker's award-winning curriculum to learn coding. 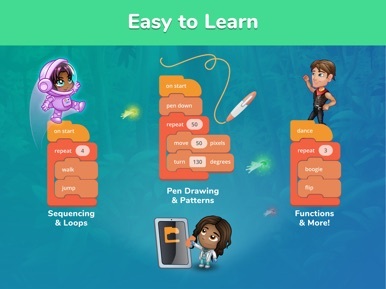 Strengthen your child’s educational foundation with step-by-step tutorials that teach kids coding in a way they enjoy. Your child will learn as they build games and apps, modify Minecraft, program drones, and even explore STEM. 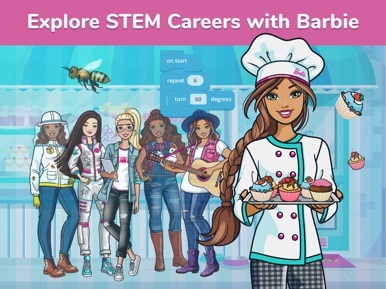 Whether your child loves Minecraft or Barbie™, Tynker offers coding courses to teach them key programming skills. Learn to code with Tynker! Battle your friends with code. Write code to cast fireballs, avoid incoming spells, and collect power-ups. Program your hero to victory and climb the leaderboard in this new multiplayer coding arena game! 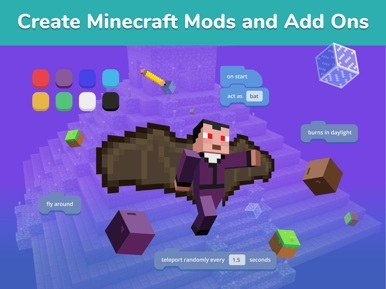 • Design Minecraft skins, items, mobs, and blocks – and then launch them! 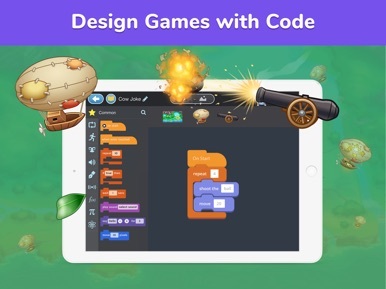 • Great for the Hour of Code! 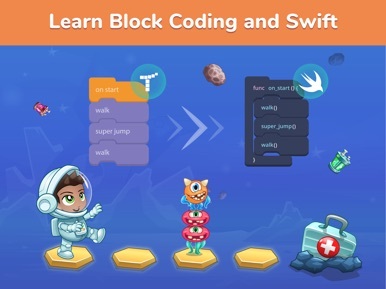 Tynker’s coding games teach kids important lessons and skills. Program drones, Minecraft mods, games, and more with Tynker – download now! If you choose to purchase a Monthly or Yearly subscription to access premium courses and tutorials, payment will be charged to your iTunes account, and your account will be charged for renewal 24 hours prior to the end of each term. Auto-renewal may be turned off at any time by going to your settings in the iTunes Store after purchase. Current price for a Monthly plan is $9.99 USD per month, and the price for a Yearly plan is $59.99 USD per year; pricing may vary from country to country. Computer programming is an important 21st century skill that kids can start learning at any age. 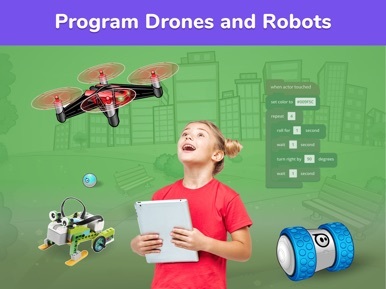 While coding with Tynker, kids apply skills such as critical thinking, pattern recognition, focus, problem solving, debugging, resilience, sequencing, spatial visualization, and algorithmic thinking. 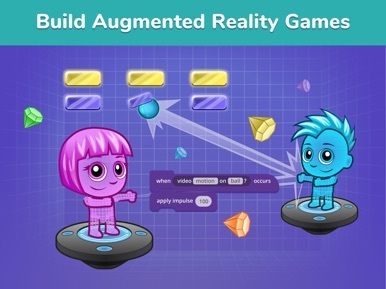 The Tynker visual language makes it easy for them to learn and apply concepts like conditional logic, repetition, variables, and functions – the same coding concepts as any mainstream programming language.